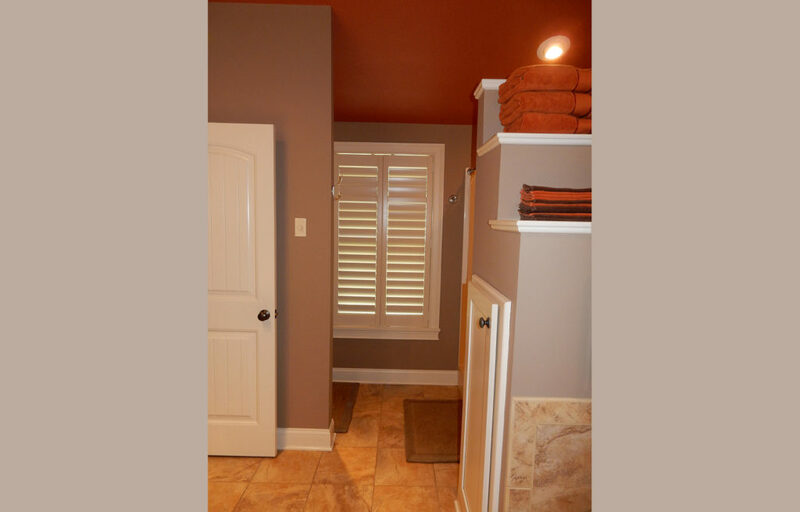 Dwayne chose a warm orange for the ceiling and a muted taupe in order to complement the artwork in this space. 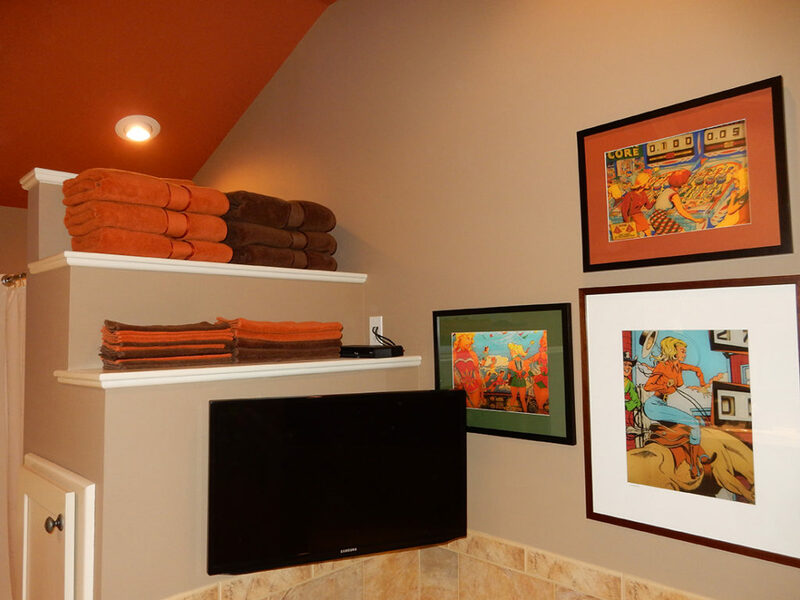 The framed prints are enlarged images from “Tommy & The Who” and “Pinball Wizard” pinball art (1950’s – 1970’s). 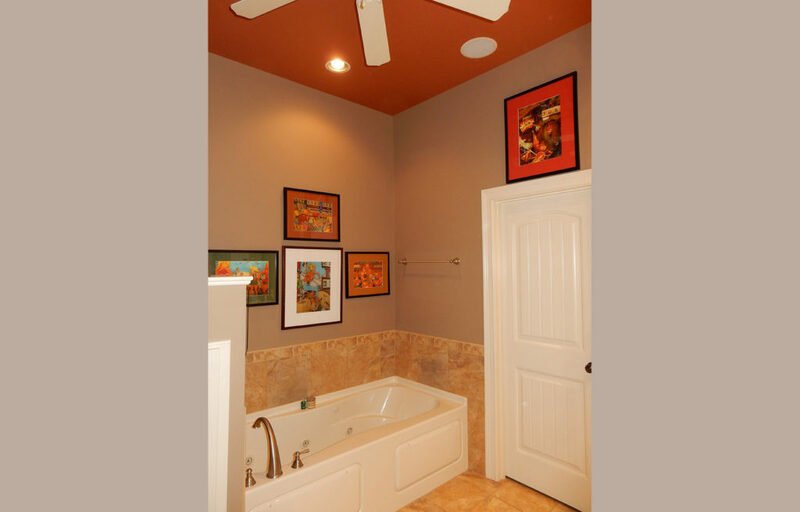 Kelly Collier – Orchids and Art in Columbia provided the custom framing.